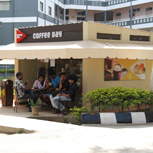 Koshys Institute of Management Studies (KIMS) Bangalore offers MBA program which is of Industrial designed. The MBA program is affiliated to Bangalore University, which has got its approval by AICTE New Delhi and recognized by the Government of Karnataka. The management institute provides various value added programs to the students, to improve their competence and employable skills. The institute provides Innovative Teaching Methods in Management programs. KIMS organizes seminars, workshops, conferences, presentations, special lectures and other cultural activities for the students overall professional development. KIMS faculty members mainly concerned to make a management course outline available to the students. 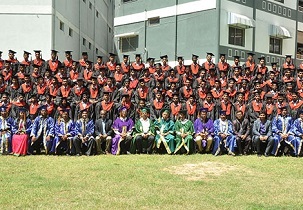 The MBA Students of KIMS will be exposed to industry as much as possible to make them industry ready. Koshys Institute of Management Studies Bangalore has a dedicated team of qualified teachers to teach their respective management courses for getting the best out of each and every student of the Institute. KIMS Bangalore develops adequate self-confidence in inter-personal skills, team building and leadership quality. Write Your Reviews on "Koshys B-School"
Are you Interested inKoshys B-School"? Please provide the following details. Ask Question on "Koshys B-School"?